Whether you are looking for a holiday home in Alicante or a permanent residence, at Lucas Fox we have properties that adapt to all client profiles. 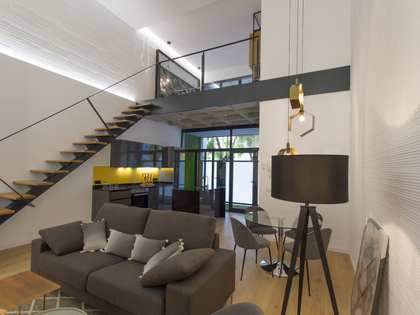 Choose from among a range of contemporary properties with renovated high end finishes or one of our original houses for an exciting personalised renovation project. Among the Alicante real estate on our web, you will find exclusive luxury villas with spectacular sea views, penthouses with generous private terraces, building plots and apartments with communal facilities as well as historic properties with character and unique period features. 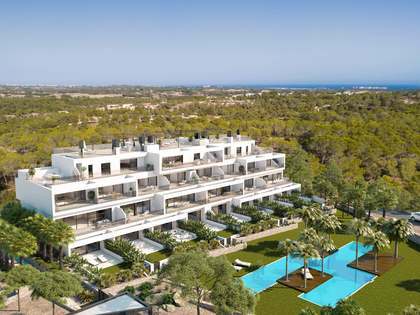 From the perfect lock-up-and-go holiday property to expansive estates with staff quarters and landscaped gardens with swimming pools; our properties are all in the prime areas of Alicante with the beach and local services on the doorstep. At Lucas Fox we offer a broad selection of premium Alicante properties for sale and rent. Browse our unrivalled portfolio of luxury homes in Alicante and contact our sales team for assistance in finding your dream home here. Alicante is a province located in the southern section of the Valencian Community, home to the cities of Alicante, which is the capital of the province, and Elche. It is encased by Valencia to the north, Albacete to the west, Murcia to the south and the Mediterranean Sea to the east. Buying a property in Alicante means enjoying one of the most privileged climates in Spain. Many choose to make their home in this beautiful spot in the world after coming here on holiday and experiencing the fabulous sunny climate and stunning beaches with crystal clear waters, gorgeous natural landscapes, great cuisine and the many leisure options, cultural events and sports facilities. The arrival of the AVE high-speed train in 2013, combined with the International Airport, has connected Alicante with many national and international destinations on a daily basis, opening the province up to tourism. 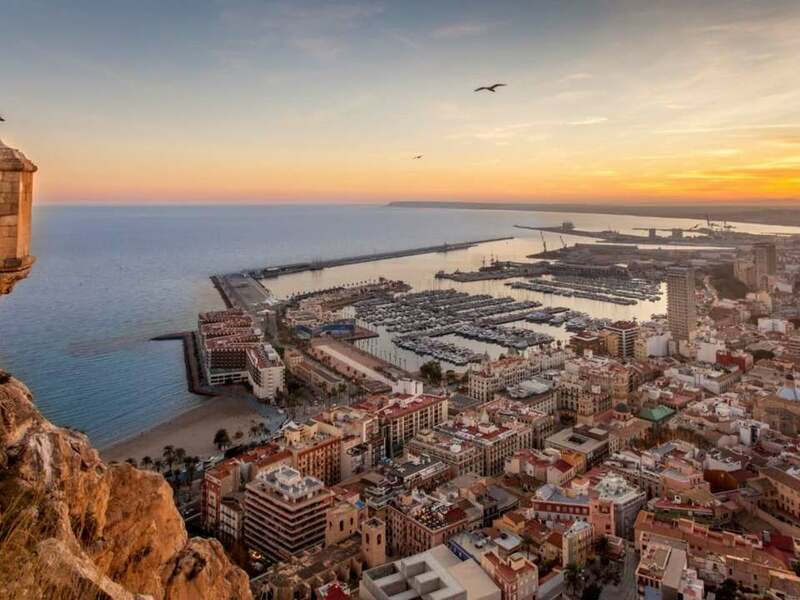 The attractive stretch of seafront promenade in Alicante capital, with its castle and pretty historic centre, make it a wonderful place for holidays and the area is also renowned for its vibrant nightlife scene. Those living here permanently are very well catered for with great local infrastructure and several international schools. Alicante is an excellent place to invest in a holiday home or rental property. 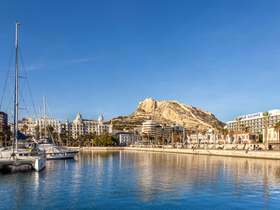 In terms of GDP, Alicante province is the fourth largest in Spain, mainly thanks to the booming tourism industry in the area. One of the interesting aspects of Alicante is how modern influences live harmoniously alongside tradition. In the hills we can still find quintessentially Spanish villages with pretty, traditional houses and weekly markets serving excellent local produce. The main cities of Alicante Province all have something to offer. Elche is the second largest city after the capital of the province and is home to many palm trees and the lovely park, Huerta del Cura. Benidorm is a well known name among tourists on the Costa Blanca and is ideal for family holidays with the Terra Mitica and Terra Natura theme parks as well as endless beaches, eateries and a large water park. The towns of Callosa and Guadalest, located in the hills, are also popular with tourists. Among others, Denia, Javea, Villajoyosa and Altea, are all beautiful spots in Alicante that offer a range of exclusive real estate options. View other featured locations within Alicante. Lucas Fox offers an extensive portfolio of Alicante real estate covering the key locations of interest.